I returned from vacation last week and while I was away I read an interesting article that Boston is among the most expensive U.S. cities to visit… third to be exact, losing only to Honolulu and New York City. This insight is thanks to Trip Advisor and their 2013 TripIndex report which compares prices from each city from four categories to determine which destinations where the most and least expensive to visit. They compared prices for between cities for a one-night hotel stay, taxi cab ride, 2-course dinner with wine, and cocktails between each city. Ouch. I spent less than that for 6 days for two people within the United States on my very recent vacation. (Granted I did use my air miles to fly and stayed with family), but still… $473.59 can be a lot of money, especially for one night of vacation, which doesn’t include a flight or Boston parking. 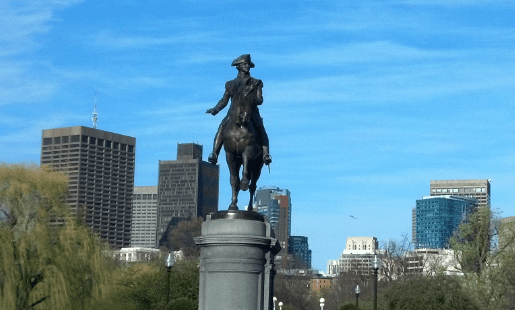 I wanted to share a few tips to bring down travel costs to help those who are visiting Boston in the near future or live in Boston and want a staycation and/or are trying to convince friends and family to come visit at a reasonable price. Be flexible with your dates to find the best hotel rates. Hotel rates in Boston can vary a lot depending on season and what conferences or events are happening in the city. Daily deal sites like Groupon, LivingSocial, and more have dipped into the travel deals, and sometimes you can score great deals through a daily deal voucher. Travel deals through these sites often change mid-week and last 7-10 days and have certain restrictions. (But read this USA Today article first and be careful since not all deals are good deals). Priceline: If you are looking for any special hotel accommodations and are just looking to sleep at a great price, priceline may be a good fit. You do need to place a credit card down before you book, and are stuck with what you get. However, websites like betterbidding.com can help you bid better and smarter. Shop around. Prices can change as well as hotel availability. Try a few different booking sites or use a travel aggregator to help narrow down the options to find the best rate. Some booking sites may show no availability for an affordable hotel whereas another site may have it available at a rate in your budget. Find a hotel alternative. Hotels aren’t for everyone or in everyone’s price range. Couchsurfing, Hostels or renting out a room through Airbnb may be a better option for you as well as a vacation rentals through HomeAway.com or VRBO. Don’t forget… If you book your travel online, book your hotel (and more) through cashback sites like Ebates and Shop At Home where you can get a percentage back from your sale! (For example, if you bid $150 for 2 nights for $300+ total on Priceline and Ebates offer 5% cashback from Priceline, you would receive a $15 check afterwards from Ebates for just taking the 5 seconds beforehand to be redirected from their site!) Every penny counts, right!? Take Advantage of Boston’s Innovation and try a car-sharing or driver service, which can be requested with a touch of your smartphone and often is cheaper than a taxi. Below are some taxi alternatives, and discounts, when possible. Using one of these taxi alternatives is a great way to save on (and avoid) taking a taxi during your trip. Heck, you may even score free transportation, which is much better than $18.80 for a taxi ride any day. Enjoy Boston Restaurant Week which is the last two weeks in August (excluding Saturdays) and two weeks in March. Two-course lunches are $15.13, three-course lunches are $20.13 and three-course dinners are $38.13 for Boston Restaurant Week 2013. Buy a daily deal voucher from Groupon, LivingSocial, Travelzoo and more to help reduce, often in half! Restaurant.com is a great way to save at local restaurants and work similar to daily deals, but they don’t have expiration dates. New vouchers also update at the beginning of each month if inventory is low. Okay, is $1 Bud Light Drafts at Coogans comparable to sipping cocktails at a Five Star bar with a tab of $26.67? No? Darn. I hate to be the barrier of bad news but Boston doesn’t have a proper Happy Hour because discounting liquor is illegal in Massachusetts. (We do use the word happy hour for discounted food though). However, that doesn’t mean you can’t get affordable… Bud Light at bars. Yes. I rambled on FOREVER… sorry about that. What hotel, taxi/transportation, dining, and cocktail tips (or questions) do you have?!? Do you think Trip Advisor is on par with the $473.59 for a night out in Boston?? *Disclaimer: A few links in the above post are affiliate links. Please see my disclaimer policy here.